Even though we are mainly selling San-X Rilakkuma plushies and limited edition items, we also bought and collected many other lifestyle and stationery items in our daily lives. 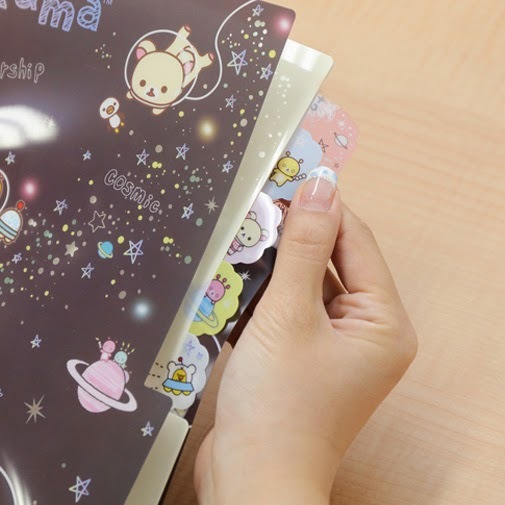 One of which that we collect, are these super kawaii and useful folders. In the past, these folders have the normal looking plain tabs but now San-X has created die cut tabs that made these files look extremely extremely cute. 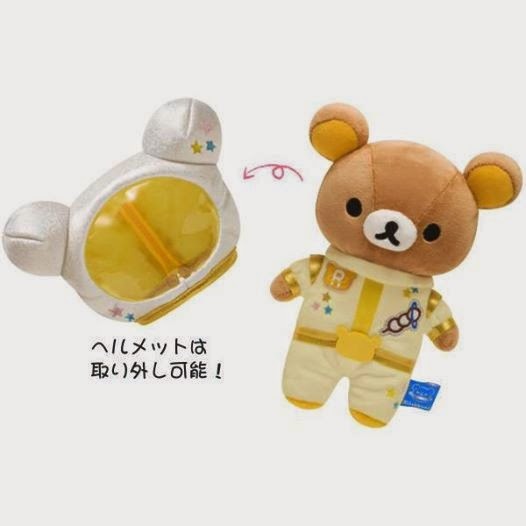 In the month of July, San-X released the Rilakkuma Space theme series and gave each character an unique look! The Space suit plushies, space pancakes, space dango and even stars vacuum cleaner made everything looks so magical. 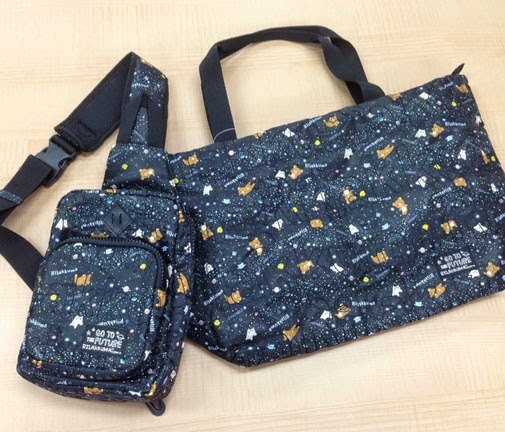 The space theme is another print that we really love! 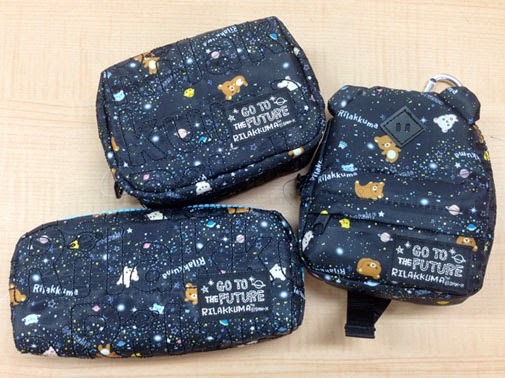 "Go to the future" is printed on the tags for this series. San-X manufactured all the usual items using this space print but they chose another material this time. This series of lifestyle items look more unisex than the previous Sweet Happy Rilakkuma and Cotton Life Series. 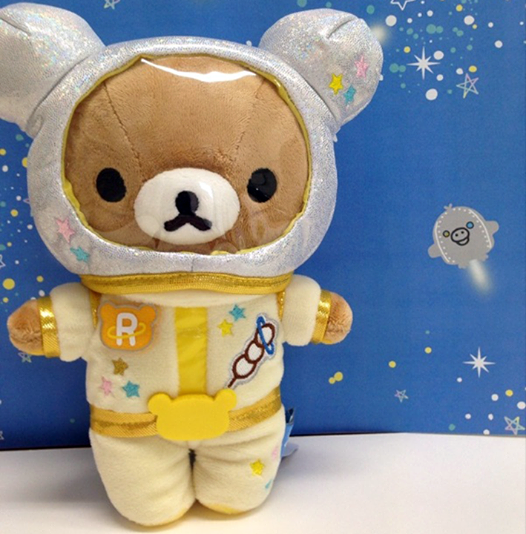 Like the usual Rilakkuma themed series, the space helmet is removable for Rilakkuma to breathe Earth's air. We are not too sure about removing the suit though. Just wait till we get our hands on this beauty. 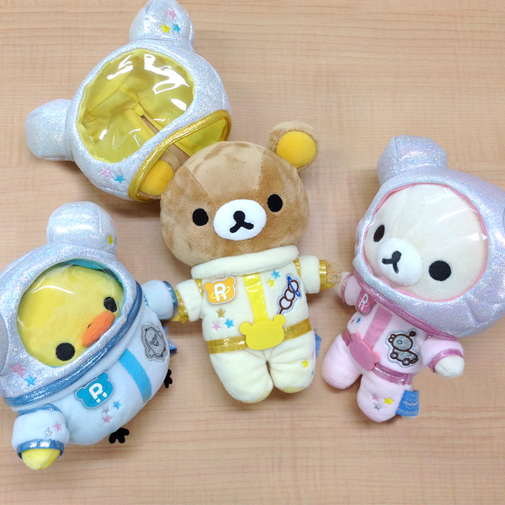 Look at the full Rilakkuma Space team costumes! めっちゃめっちゃかわいい！They have different badges that suits their personalities. Rilakkuma with one of this favourite food, dango; Korilakkuma with her favourite duck toy; and Kiiroitori with his own portrait. 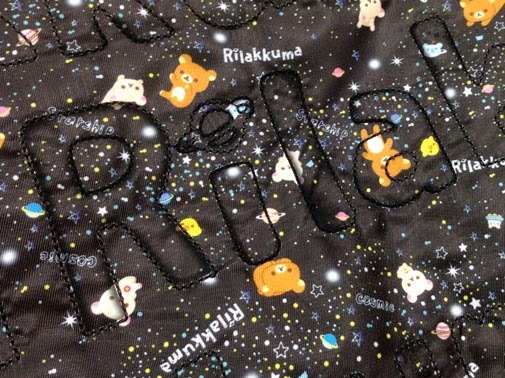 Both Rilakkuma and Korilakkuma have their own head belt to complete the entire look. 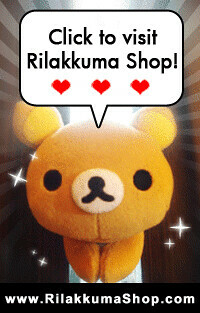 Rilakkuma the Astronaut had arrived in Kobe store! Check out the video for out of the world cuteness!! Fast forward to the 5 mins mark to count down : "5.....4....3....2....1...Launch!" After watching this clip it made us soooooo happpy!!! Let's all be happy today!